Medicinal marijuana could be legal in Ireland by the spring. The governing Fine Gael party declined to block the first reading of the “Cannabis for Medicinal Use Regulation Bill,” which is backed by all other parties in the Dáil. It now moves on to committees for further consideration. Health Minister Simon Harris has said he would seek to tighten the proposal as it moves through the legislative process. 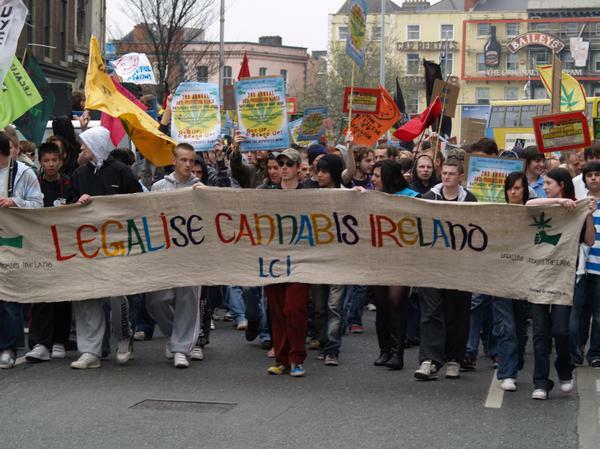 More than 90 percent of Irish people support the legalization of the drug on medical grounds, the Irish Independent reported. Critics say the proposal opens the door to recreational use. In 1839, Irish physician William Brooke O’Shaughnessy brought cannabis into Europe from India. Seeing beneficial effects the drug seemed to have on relieving pain while in the subcontinent, O’Shaughnessy, having written numerous papers on the drug, thought it well suited for western medicine. The drug took off and, for around 100 years, its widespread use (crossing the Atlantic, too) was notable throughout the streets of major cities, largely thanks to its pungent smell. However, in the 1930s, U.S. lawmakers decided against it, instigating a ban that spread throughout much of the western world up until recent years. October 2014 image from UniversityTimes.ie. This entry was posted in Arts & Culture, Business & Environment, History, Politics and tagged William Brooke O’Shaughnessy on December 5, 2016 by admin.